The power electronics firm offers its new converter as an OEM solution for builders of “smart battery” solutions. Pika Energy will offer bidirectional smart battery converters to enable breakthrough integrated solar and energy storage solutions, the company announced Tuesday at the Intersolar North America conference in San Francisco. B Link is on display at Pika Energy’s booth (#8125) at the EES Pavilion at Intersolar North America. The B Link features 30-amp charging, bidirectional power flow and a peak power capacity of 8000W. The converter is designed to connect high voltage battery stacks to REbus™, Pika Energy’s patented plug-and-play 380VDC nanogrid. 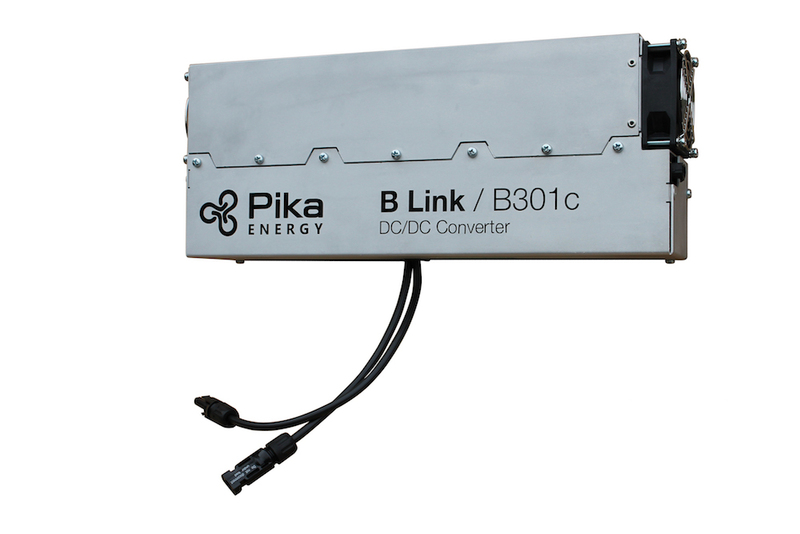 “Our B Link converter does for batteries what our PV Link™ optimizer does for solar modules, allowing safe, fast, flexible integration of a large assortment of widely-available technology options,” said Pika Chief Technology Officer Joshua Kaufman. With a compact size (16.5" x 6.5" x 3.7", 13.05 lbs) and high efficiency and peak power, B Link has already begun attracting OEM partners who will use B Link to assemble smart batteries, energy storage systems, or, in the case of Ontario-based Sentinel Solar, both. Sentinel Solar selected B Link after determining it is the optimal solution for building cost-effective, small form factor and flexible systems that can turn a range of conventional battery options into a “smart battery” solution. Known for its Pika Energy Island™ system for 7.6kW solar-plus-storage applications, Pika Energy also offers an array of OEM products including inverter and converter “Power Cores,” the latest of which is B Link. The company says B Link will begin shipping to its partners in Q1 2017.